“There is no greater gift than that of time and expertise given by volunteers in support of a worthy community cause. This gift enables us to continue our work raising community awareness of gastro-intestinal or gut cancers, the importance of clinical research and trials to keep our medical system up to date and help improve survival rates. 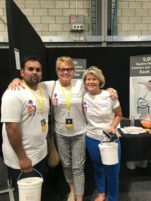 As a Gut Cancer Foundation volunteer, you can share your talents and knowledge within a supportive and progressive environment, have fun learning new skills and meeting interesting people, and ‘pay it forward’ so you can make a real and positive difference in your community. If you have some time available and would like to know more about volunteering and how you can help, please contact us. 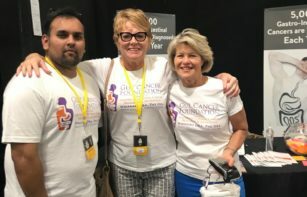 Thank you for helping us ‘Kick cancer in the guts!’.